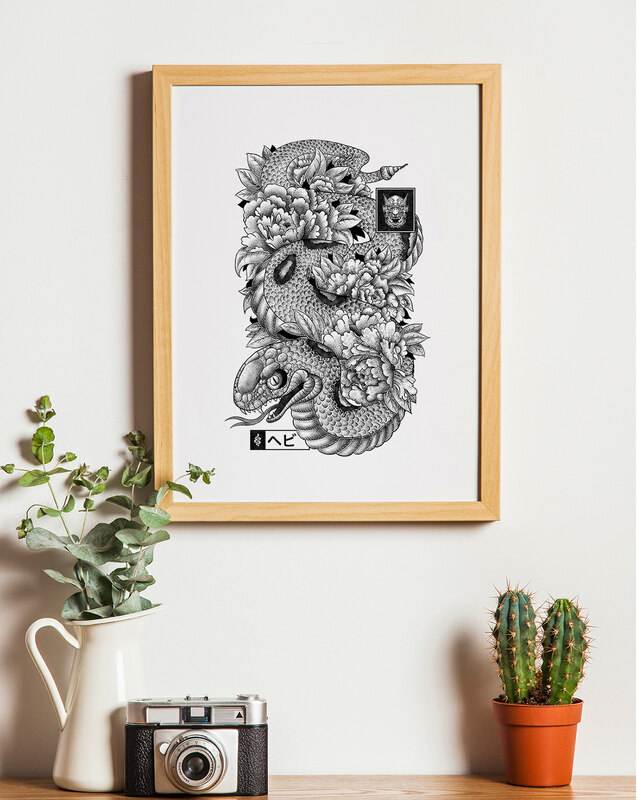 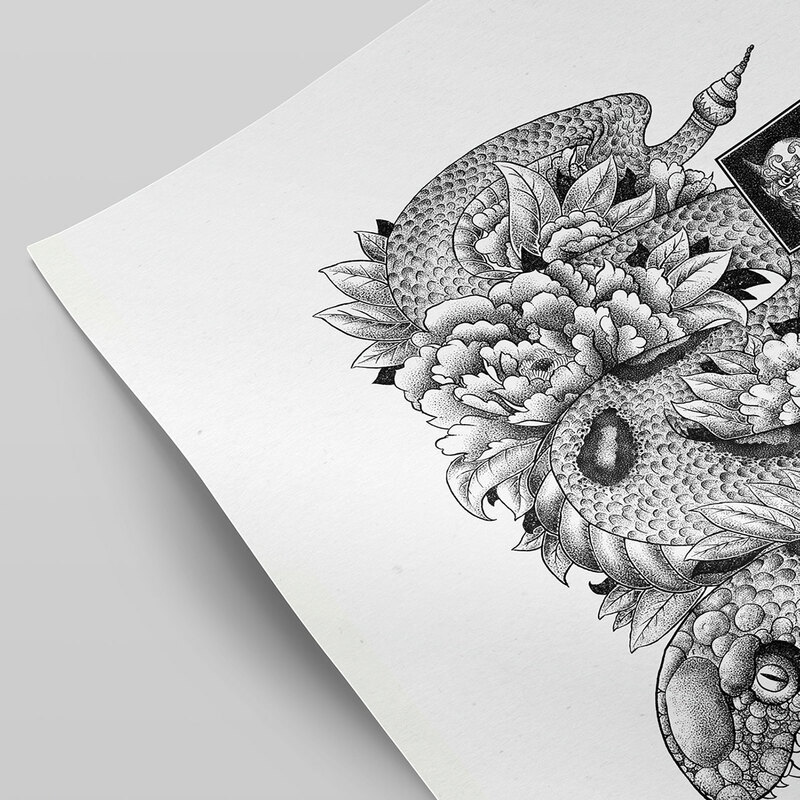 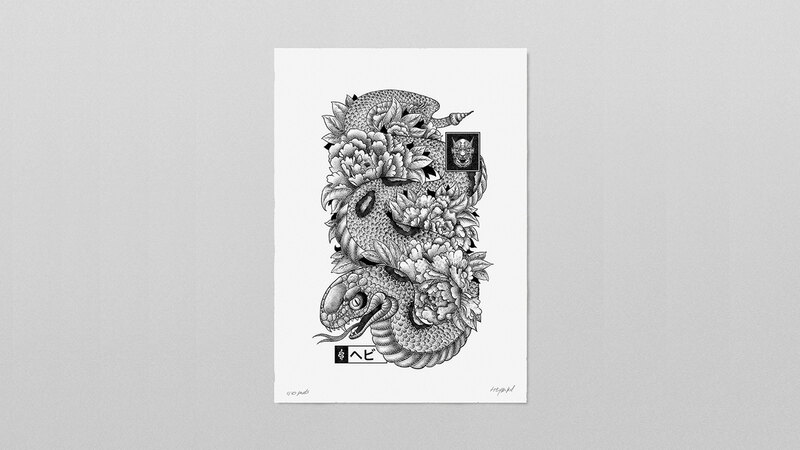 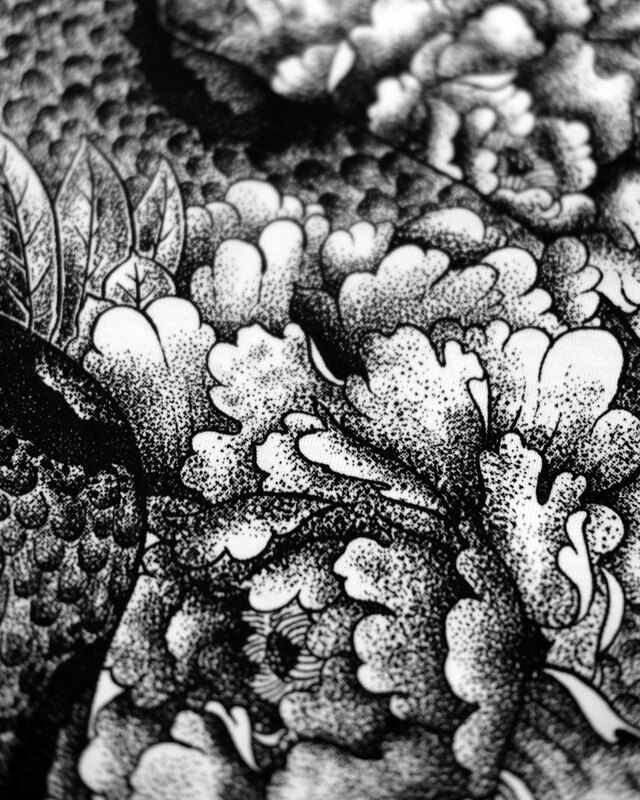 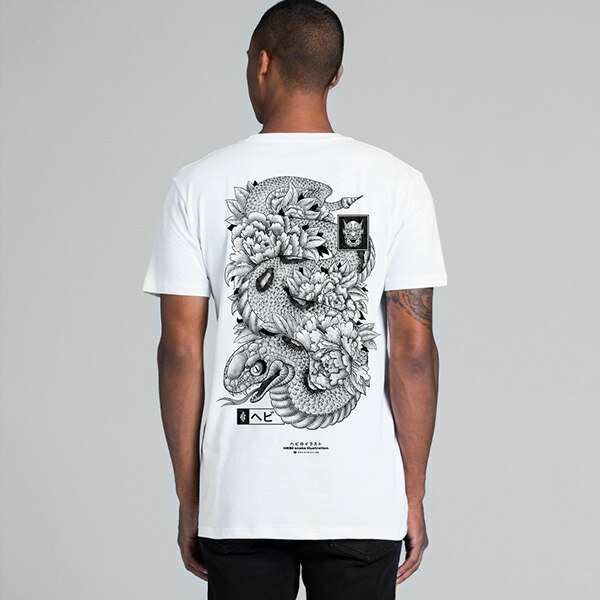 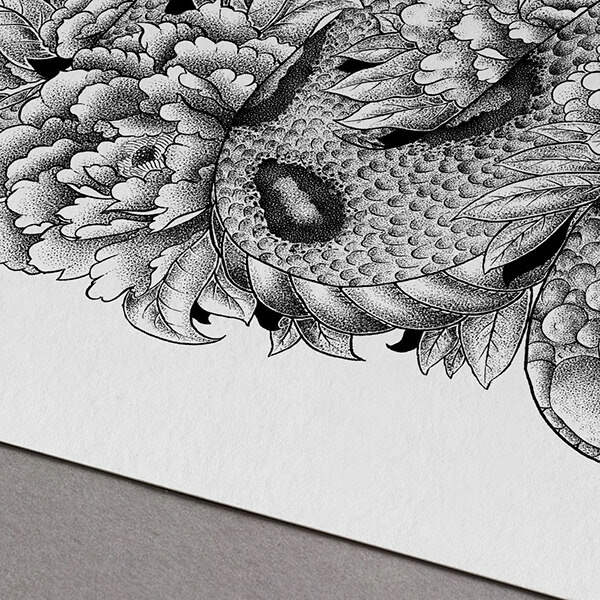 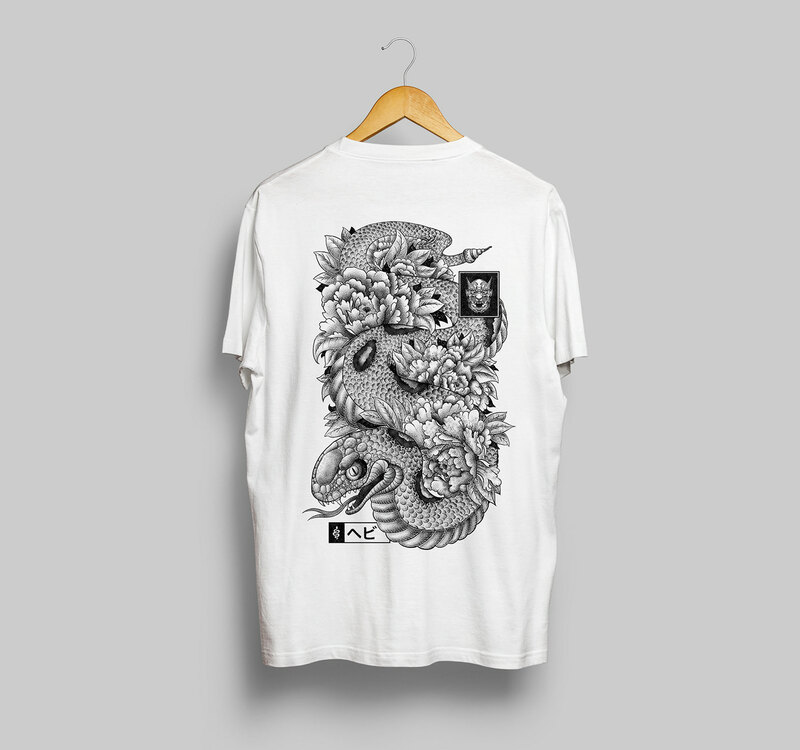 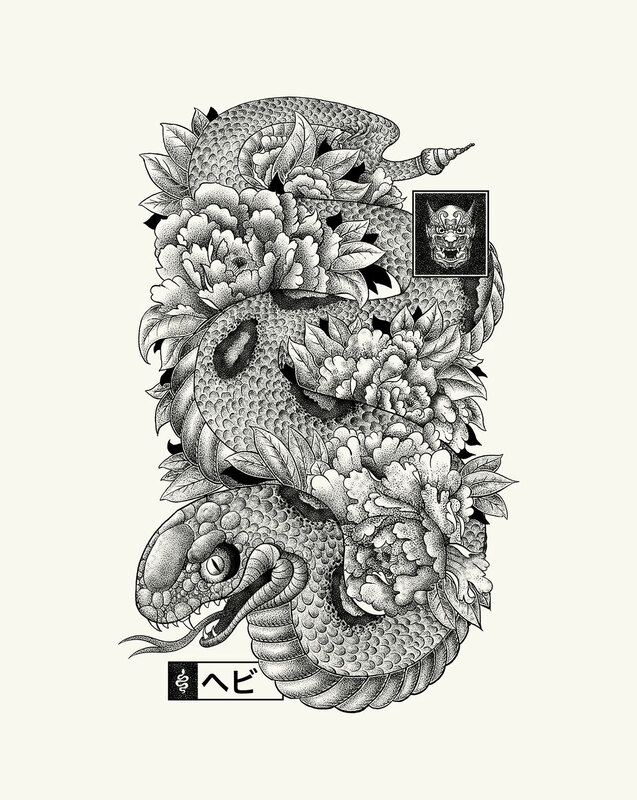 Hebi is the word in Japanese for snake, this illustrations is inspired in the Japanese tattoo culture world. 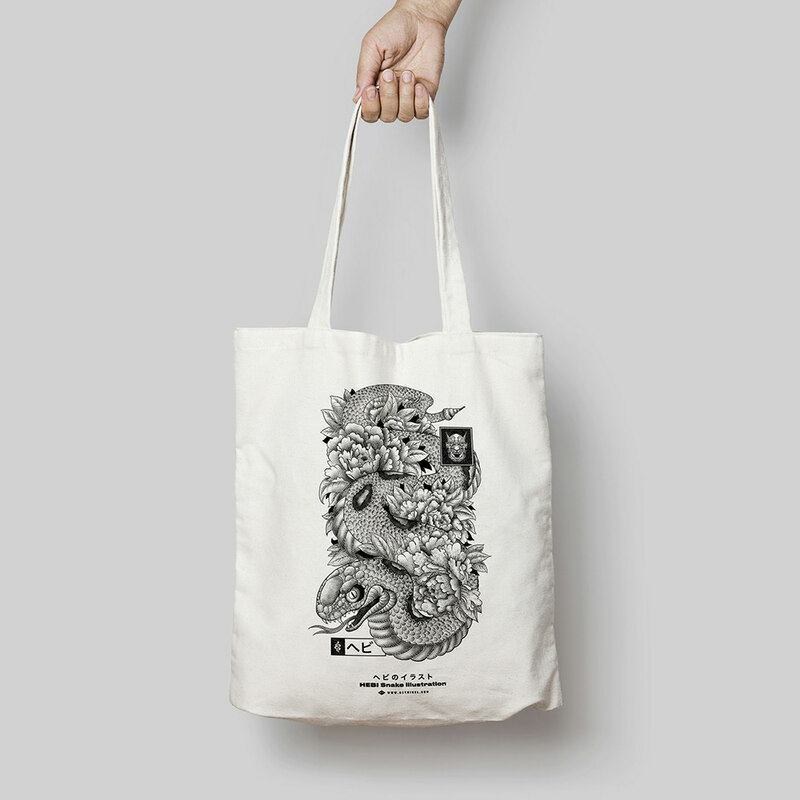 As a result as this personal project we came out with some art print illustration, t-shirts designs and tote bags. 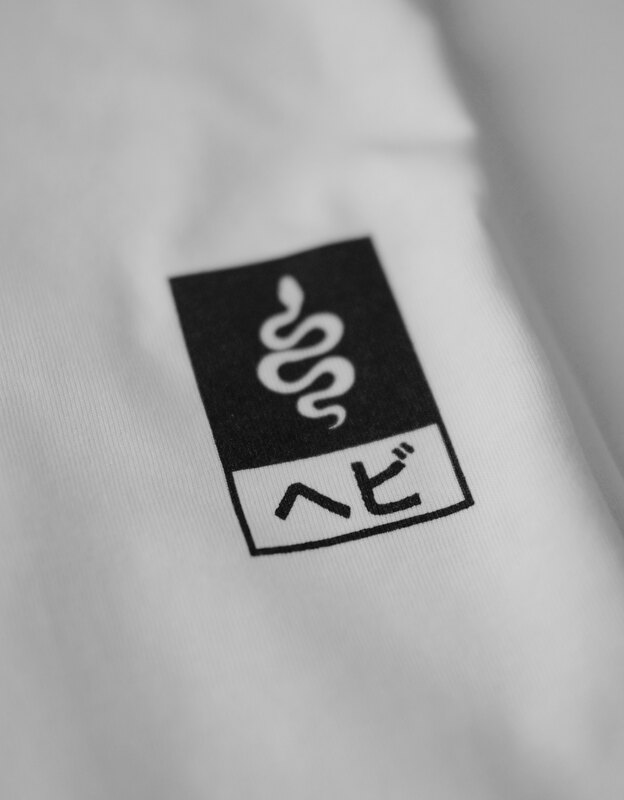 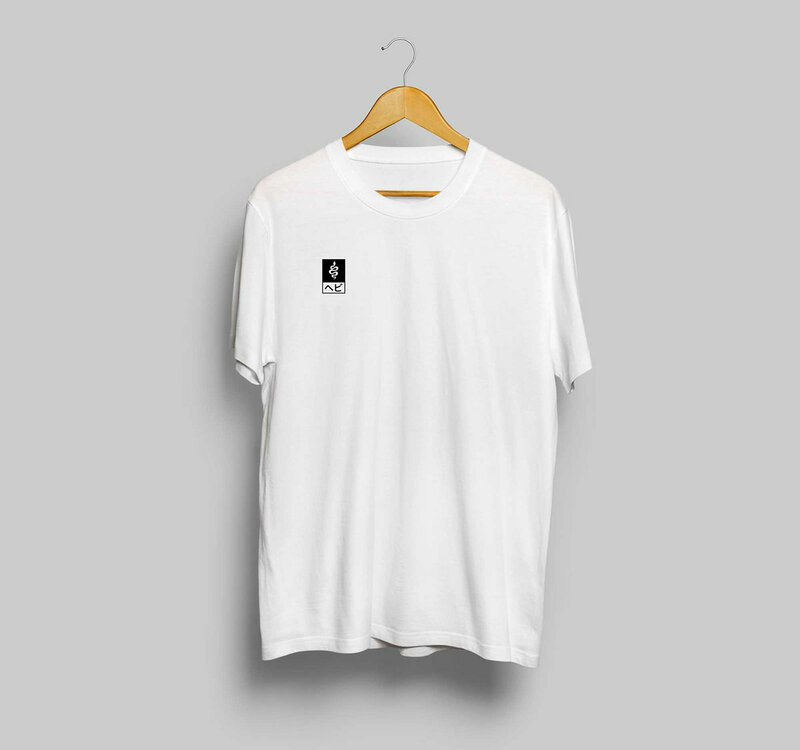 Screen printed t-shirts on 2 sides.